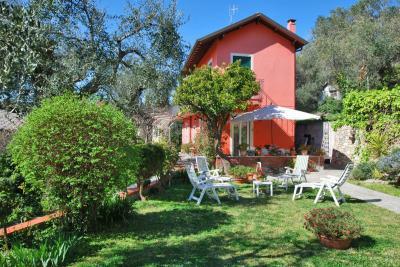 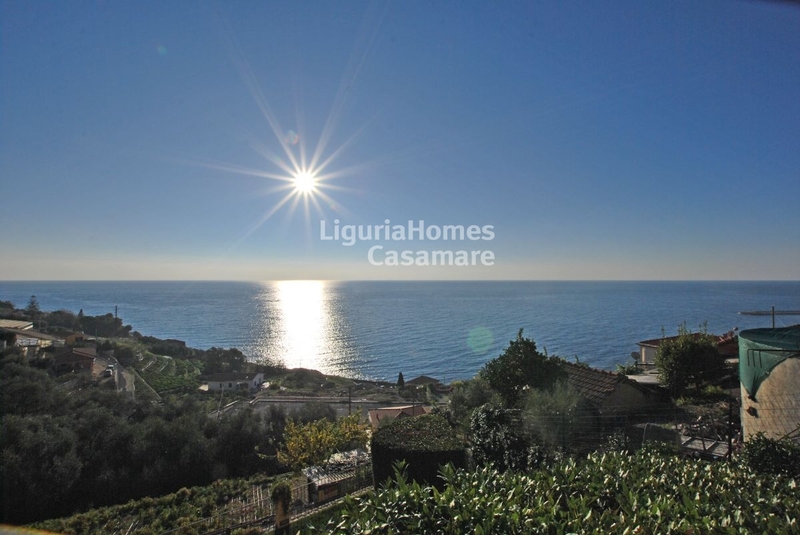 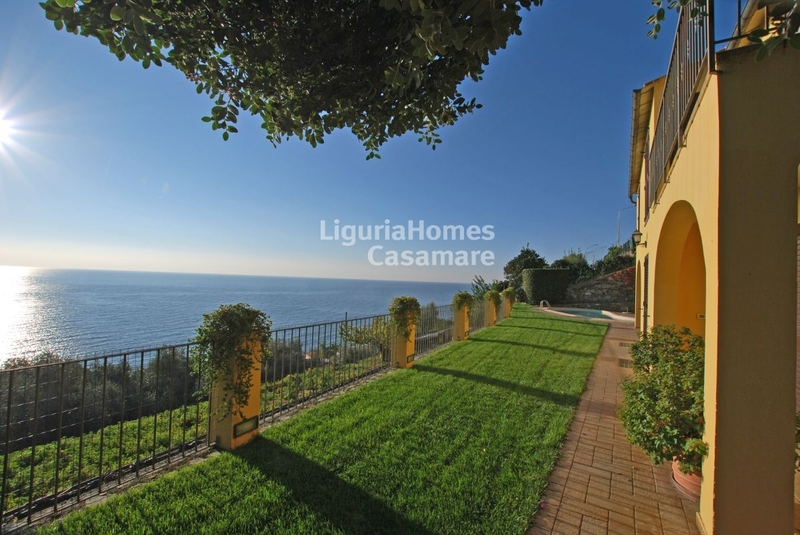 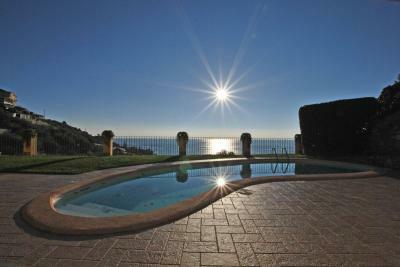 Santo Stefano al Mare, Villa for Sale with fantastic sea view. 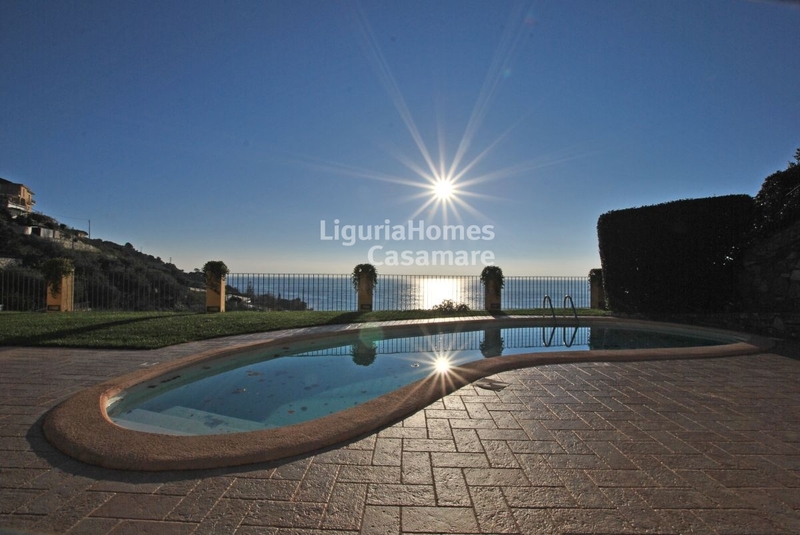 Just 750 meters from the sea of Santo Stefano al Mare, spectacular Villa for Sale with fantastic sea view. 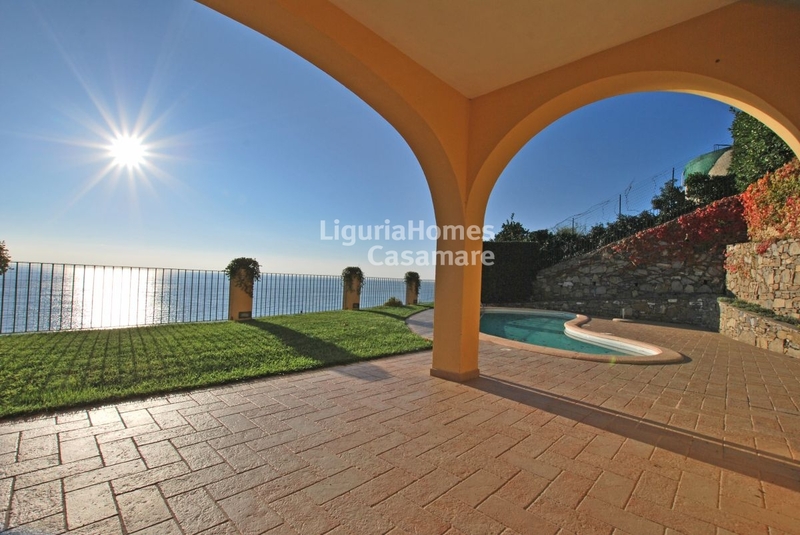 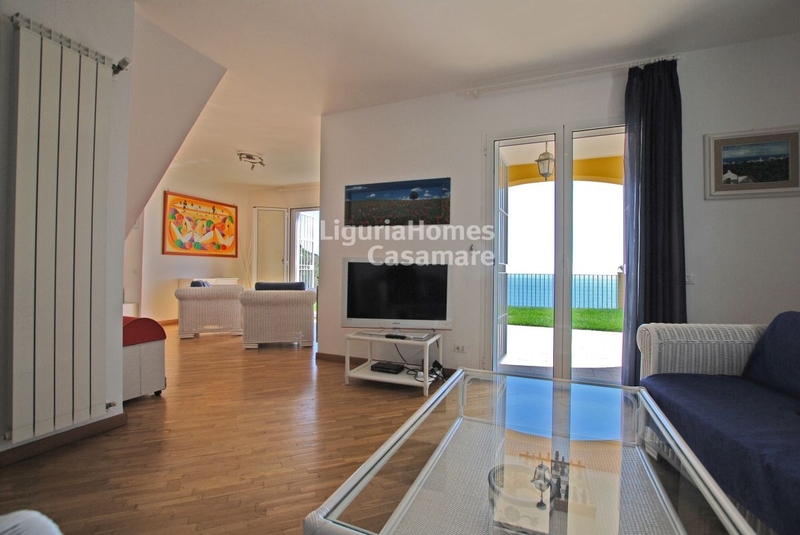 The Villa, recently built, is located in a privileged position, sunny and completely exposed to the sea. 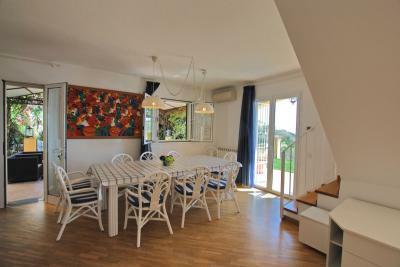 The access is easy and the outdoor spaces allow you to easily accommodate several outdoor parking spaces in addition to a large garage in the basement where they can find space for other cars. 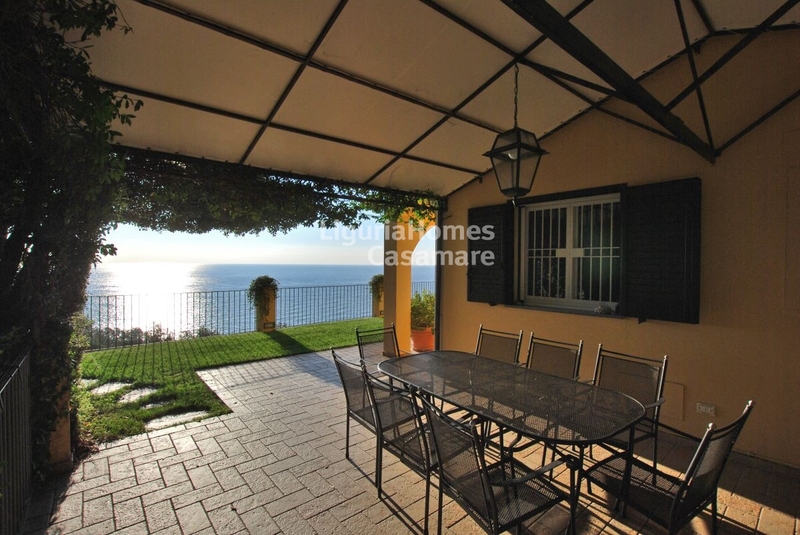 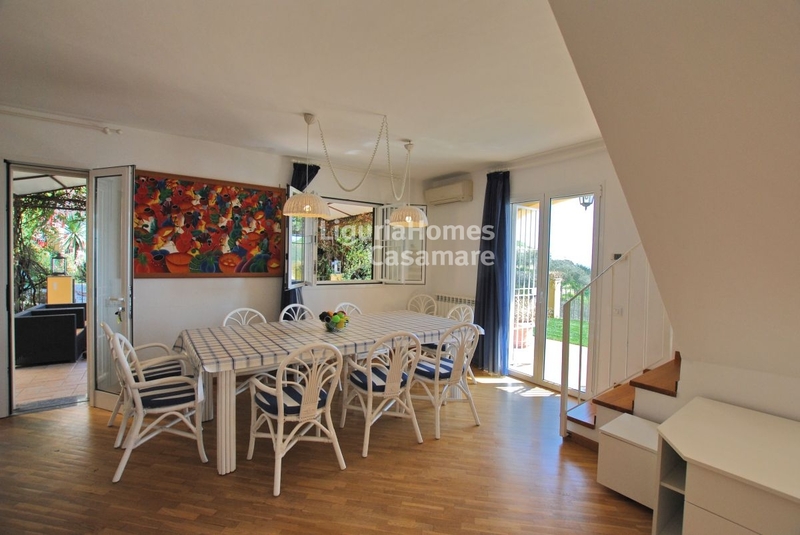 The Villa for Sale in Santo Stefano al Mare with fabulous sea view consists of 2 floors: on the ground floor there is the living area with dining area, kitchen, livingroom and services as well as a scenic sheltered outdoor area where you can eat or relax. 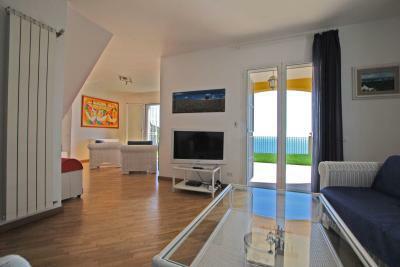 The first floor is dedicated to the sleeping area with 5 bedrooms and dedicated services. From all the rooms of the Villa for Sale in Santo Stefano al Mare you can enjoy a fabulous sea view. The perfectly maintained garden blends perfectly with the sea view and also houses a pool with its relaxation area. 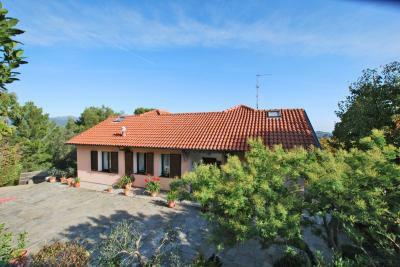 Complete this amazing property a large storage and cellar.